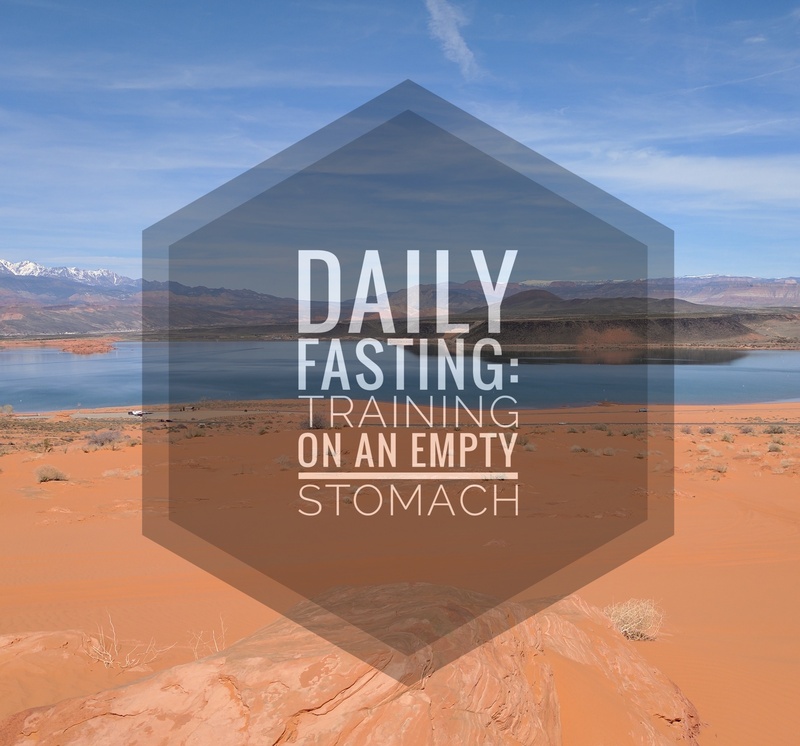 One simple fasting strategy I have been utilizing since the 90’s is training on an empty stomach. What type of training? To be specific, I’ve been incorporating cardio (cardiovascular or aerobic) exercise on an empty stomach into my fat loss regimen for more than two decades. Back In the late 80’s to early 90’s i recall reading an article, probably a few, that stated by doing cardio first thing In the morning on an empty stomach you would maximize the fat burning effect. There are a few valid reason behind this methodology. When you wake up in the morning your body is essentially in a fasted state, since you’ve been sleeping all night and haven’t eaten. Because you haven’t eaten all night your blood sugar levels are typically lower. The glycogen stores In the muscles (essentially storred sugars) are also depleted. These points are key, because without elevated blood sugar and glycogen levels your body is forced to look for an alternate source of fuel for it’s energy needs. So what source does it turn to? It turns to FAT. It has also been said that this protocol elevates the metabolism, which allows your body to burn more fat throughout the day. For those reasons, when I began my preparation for my first bodybuilding contest I started doing cardio first thing In the morning on an empty stomach, practcally daily. If you’ve had an opportunity to read my 1996 Journal, The Best Kept Secrets to Weight Loss, Fitness & Building Muscle, which is now available on Amazon, you may have observed how frequently I incorporated these morning cardio session into my pre-contest program. I also utilized the same strategy In 2003 & 2004 to reduce body fat, as well as on an ongoing basis over the years to most effectively burn fat. As a young Bodybuilder in my 20’s, like many people in their 20’s, I was not much of a morning person. For that reason, in addition to thinking I’d be weak if I didn’t eat anything before lifting weights, I typically did my weight training in the afternoon or evening. Which meant I essentially had to workout twice a day, cardio in the morning, and weight training in the afernoon or evening. However, I eventually evolved into a morning person. This was largely due to the benefits of the cardio on an empty stomach strategy. So, rather than doing cardio in the morning, and going to gym later in the afternoon to get the weight training session in, it beame much more time efficient to just lift weights right after the cardio workout in the morning. It did not take long before realizing that the myth of losing strength due to training on an empty stomach was exactly that, a myth. My strength continued to increase over time, and still does till this day, at age 43. Though I trained (cardio & weight training) for a number of years first thing in the morning on an empty stomach, I have more recently began experimenting with intermittent fasting. With the intermittent fasting regimen I will typically fast all day by skipping breakfast and lunch, train in the evening, and have my first meal (dinner) in the evening after my workout. In principle, I get all the same benefits of training first thing in the morning and then some, due to the prolonged fasted state. If you’ve never tried training on an empty stomach, whether it’s just a cardio or weight training session give it a shot. The results may surprise you! More recently, after being diagnosed with type II diabetes in the end of 2016, I began incorporating different methods of fasting. Over the last few months the method that is most easily incorporated into my daily lifestyle is the 24 hour daily fast. As a Bodybuilder that trained myself to eat every 2-3 hours over the last 30 years, this method is a very refreshing change. Yes, I’m now having to retrain myself to eat less frequently. Since I work like most people Monday through Friday, it was very easy to adopt a daily fasting strategy throughout the weekdays. My typical 24 hour fast will run from one dinner to the next. Yes, simply put, on most weeks I will only eat one solid meal per day Monday through Friday. I say one solid meal, because I will typically have my morning coffee with heavy cream and coconut oil in the morning, as well as prior to training, if training in the evening. In addition to a scoop of whey protein throughout the day, if needed. This can vary depending on the time of day that I train. If i train in the morning I will have some whey protein after my training session, then continue the fast until dinner. Depending on my schedule, and how i feel, i may just have some BCAA’s (Branch Chain Amino Acids) post workout, and maybe a scoop of whey a few hours later, just to hold me over until dinner. 7:30 a.m. Morning Coffee with heavy cream & coconut oil. 9:30 – 10:00 a.m. 1 Scoop Whey Protein or BCAA’s. 1:00-2:00 p.m. 1 Scoop Whey Protein (optional). I personally donʻt believe a scoop of whey protein will keep the body from benefiting from the overall fasted state, especially after a high intensity training session earlier during the day. Also, i donʻt believe it to be absolutely necessary to adhere to such a rigid 24 hour fasting schedule to reap the benefits of the fast. Sometimes people get so caught up on numbers and specified regimens that they forget the simplicity of the program itself. Not to mention the key factor of listening to your own body. For that reason, if I’m training in the evening, I’ll typically train while fasted, then have a scoop of whey protein post workout, in addition to dinner after my workout. This has been a more recent trend that you see popping up these days. Many health and fitness fanatics advocate this protocol for maximum fat burning, and muscle building effects. I’ve personally been using this protocol intermittently, and have been noticing the results from it. The idea is that if you train, especially high intensity weight training while in a fasted state, your body starts running on adrenaline, which also stimulates an increase in growth hormone. This means that your body is ultimately burning fat, and building muscle. 9:00-9:30 p.m. 1 Scoop Whey Protein or BCAA’s, and Dinner. 7:00 p.m. Dinner & evening pre-workout coffee with heavy cream & coconut oil. 9:00-9:30 1 Scoop Whey Protein or BCAA’s. Now, as always, I’m a big believer that you need to listen to the body, and make adjustments accordingly. So if you feel absolutely terrible while training in the evening before you consume your first meal, then experiment with eating your fist meal (dinner) earlier in the evening, then training after your meal. I have tried this protocol as well, and it seems to work as well. Are you getting the maximum fat burning and growth hormone stimulation that you might get from training during a fasted state? Maybe not, but if that what you need to get you through the workout, then maybe that’s what you need to do. Whether you train in the morning, afternoon, or evening, I don’t think it will necessarily make all that much of a physiological difference. Especially if you’re forcing yourself to do something that is so out of your norm that it becomes unpractical. For me, it’s much easier to wake up in the morning, make some coffee, and start my day. Whether I’m heading to the gym or the office first thing in the morning, it is nice not to have to worry about making breakfast, and packing a lunch just to make sure I’m getting my “required” meals in. It is truly awesome not having to worry about what or when I’m going to eat next. I have also noticed that I am much more focused throughout the day. This is largely due to the fact that the blood sugar levels are not going up and down like a roller coaster all day, before and after each meal. Which also allows the body to maintain a fat burning state of ketosis, or get into that fat burning state much quicker. 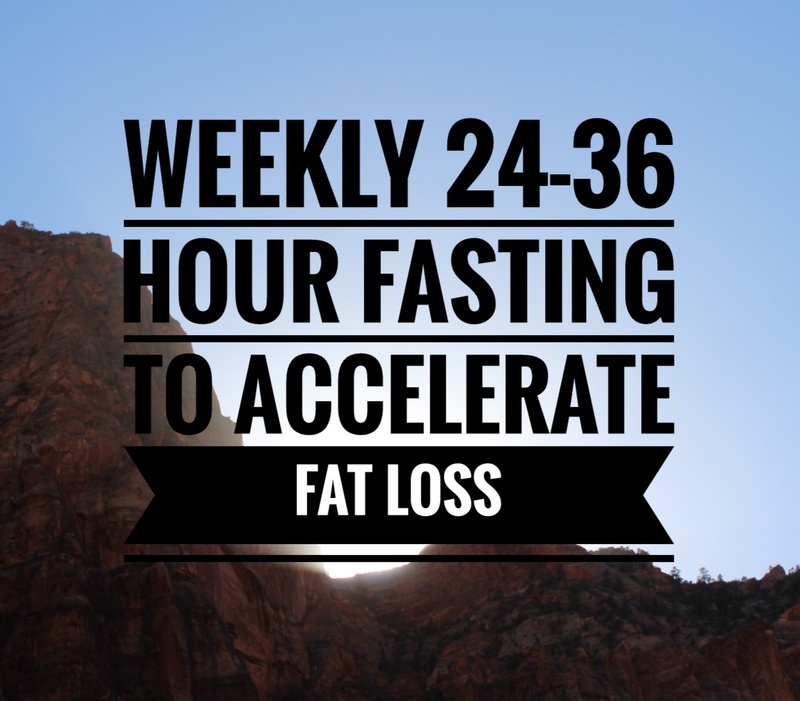 Overall, the 24 hour daily fast seems to work quite well, not only for it’s fat loss benefits, but also for it’s convenience, ease of use, and overall health benefits, especially the blood sugar levels. If you’re up for it, give it a shot! If you do, please let me know how it works for you. So how do you implement fasting? I truly believe, like any weight loss strategy, you must adopt a program that works for you, and that fits into your lifestyle. In 2013, when I was initially diagnosed with pre-diabetes. I experimented with fasting, not because it was some popular fad diet thing, but because I primarily was fasting for the spiritual aspects. At the time I was hosting a weekly men’s bible study on Wednesday nights at my office. So each Wednesday I’d fast prior to bible study in the evening. Most times I’d just drink some whey protein throughout the day to keep me going, then eat my first meal later in the evening after the Bible study. Some days I’d continue fasting throughout the rest of the evening, until the next day, with maybe another whey protein after bible study. I basically fasted one day a week, for approximately 24-36 hours at a time. After about 3 months I had dropped about 25 lbs and improved all the lab results. Looking back, I was essentially implementing a weekly intermittent fasting regimen, without any real terminology for it. All I knew was that it was improving my life spiritually, with additional weight loss benefits. Keep in mind this was done in addition to a low carb regimen on most other days of the week. I say most other days, because more often than not, I would reserve 1, maybe 2 days a week, typically on the weekend​ for what I call a high carb cheat day, or two. Although it worked quite well for me at the time, I don’t know if having a high carb cheat day would be the best protocol for someone that has a large amount of weight to lose, or that may already have type II diabetes. I was also doing my regular weight training sessions 3-4 days a week, along with regular cardio on those training days. I point this only because, as always you must adopt a strategy that works well for you, and can be incorporated into your lifestyle. For someone that’s never done any regular weight training and cardio exercise, it may be unrealistic to expect that you can cheat on your low carb diet once a week. Especially if you have a disease you are trying to reverse, such as type II diabetes. My best advice would be to listen to the body. If you’re very active, and getting great results, while incorporating a high carb cheat day into your weekly regimen, great. However, if you are having a cheat day or two, and you notice the weight loss slows down or halts, than maybe you ought to cut it out. If you want to find out more about how I’ve used a low carb, high carb cycling strategy to get into contest shape check out my book on Amazon. You may have seen it all over the internet. It’s the next craze in weight loss. It almost seems like a miracle dieting/weight loss strategy. It seems so innovative, new and cutting edge. But, is fasting really all that new? The reality is that fasting has been around since the beginning of time. When you think of ancient humans, they surely did not eat 3-6 meals a day. It was more like 1 meal a day, if that. Early humans were hunter gatherers. They hunted what they could, ate that, and gathered what they could, and ate that between whatever they hunted. However, largely due to Western influence, many non Western cultures eventually evolved into the 3-6 meals a day that many of us are now accustomed to. I can personally testify to the 6+ meals a day regimen. As a Bodybuilder, I’ve spent the last 30+ years, training the body, and part of that included training the mind. Yes, one of the most important aspects of Bodybuilding is discipline. Not just disciplining oneself to consistently train, but more importantly to eat a certain way. For years I disciplined and taught myself to eat 4-6+ meals a day. While preparing for a contest I’d sometimes eat 7-8 meals in one day, carrying around a cooler if I had to, just to get my meals in. Granted, I was training for a Bodybuilding contest, and there may be some truth in that methodology. Unfortunately, many athletes get caught up in this idea, largely due to much of the health, muscle, and fitness influence, which constantly advocates eating every 2-3 hours to keep the body and muscles fueled. Now fast forward 30 years later, and you can easily see that by eating so frequently it was quite difficult to really get any fasting in. What fasting am I referring to? The simple fasting from dinner to BREAKFAST! There is definitely a lot of truth in the word itself. First of all, it implies that you must fast before you can break the fast. If your last meal is at 11:00 pm, and you then eat breakfast the next day at 6:00-7:00 am, you’ve really only fasted for 7-8 hours. There is certainly a reason most religions of the world observe periods of fasting. Both for the spiritual cleansing as well as the physical cleansing aspects. However, we have slowly gravitated to a culture which has become more concerned about eating than fasting. You can very easily observe this just by going on Facebook, and I guarantee, you will quickly see a photo of someones food. So, why is fasting so important? In the most simplistic explanation, it is almost like rebooting a computer. Starting dress, and allowing the body to rid itself of toxins, as well as sugars. Let’s put it this way, especially for those who may be obese, overweight, have the metabolic syndrome, pre diabetes, or already have type II diabetes. Chances are you are insulin resistant, thereby having excess unused sugar running around through your body. This will typically cause you to have increased blood glucose levels as well as increased insulin levels. For many people, it’s not that your body is not producing insulin, it’s just that your body has become resistant to it. Essentially your body no longer responds to the insulin it’s producing, to do its job properly. It’s very similar to how your body will build up a resistance to antibiotics if you take it too much, too often. After awhile your body no longer responds to the antibiotics. So why is all this insulin stuff important, and how does that relate to fasting and weight loss? It’s really quite simple. Insulin is basically a fat storing hormone. Too much insulin running around through your body, whether from insulin the body has produced on its own, or from being injected leads to fat storage. When you’re fasting (not eating) your body no longer has the excess sugar running around through the body. So the body has no need to produce more insulin to reduce those sugar levels. Once the body runs out of sugar to burn for energy, it needs an alternate source of fuel for energy. Essentially your body will end up turning to fat for it’s energy needs. Let’s face it, if you have any excess fat on the body that’s a pretty good source of fuel for energy. That’s basically what it’s there for. Fat on the body is nothing more than stored fuel for the body. That’s what it was put there for in the first place. Just in case it’s needed when there is no food, it has its own food to survive off of. The big problem these days is that we now eat more and more frequently. More meals, more snacks, more fuel for the body. So the body never truly gets to utilize the food storage it put on the body. There are many different methods of fasting. It could be daily, alternate days, weekly, monthly, quarterly, or just once a year. All methods can be beneficial to some degree for both weight loss and overall health. The key is to start implementing a fasting strategy that works for you. One of the best resources I’ve found on fasting for weight loss and health is Dr. Jason Fung. He has used fasting to help people effectively lose weight, reverse diseases, and improve health. You can check out part one of six of his lecture on The Aetiology of Obesity below. You can also checkout his website Intensive Dietary Management for more awesome resources. Also, be sure to sign up to get all the latest posts on Natural Bodybuilding, Health & Fitness direct to your inbox, by entering your email address to the right, as I will be sharing some of the fasting strategies I’ve utilized over the last number of years.